WINDOW SHOPPER REVIEW: NEW FROM STROMBERG for your flathead Ford. The e-FIRE distributor, with electronic ignition, traditional looks, easy installation and simple set-up. The initial e-FIRE range comprises four front-mount distributors for Ford 59A flathead engines: 11A-style three-bolt (1932-41) and 21A-style two-bolt (1942-48) models with 12 volt negative or 6 volt positive ground. New models for other hot rod engines are planned for later in the year. Every e-FIRE distributor features electronic ignition. So there are no points, no condenser, no black (or red) box and very little maintenance. Just higher efficiency, economy and accurate spark timing. It’s easy to install, with just two wires to a regular coil. 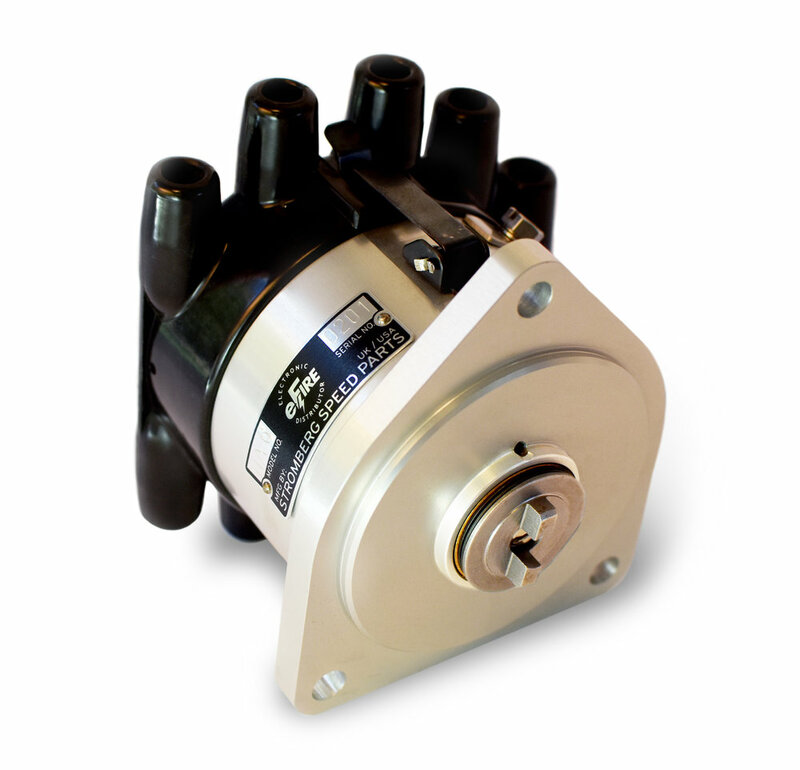 The advance rate and max total advance are tuned specifically to suit the flathead V8 motor and every e-FIRE distributor is machine tested and ready to run. 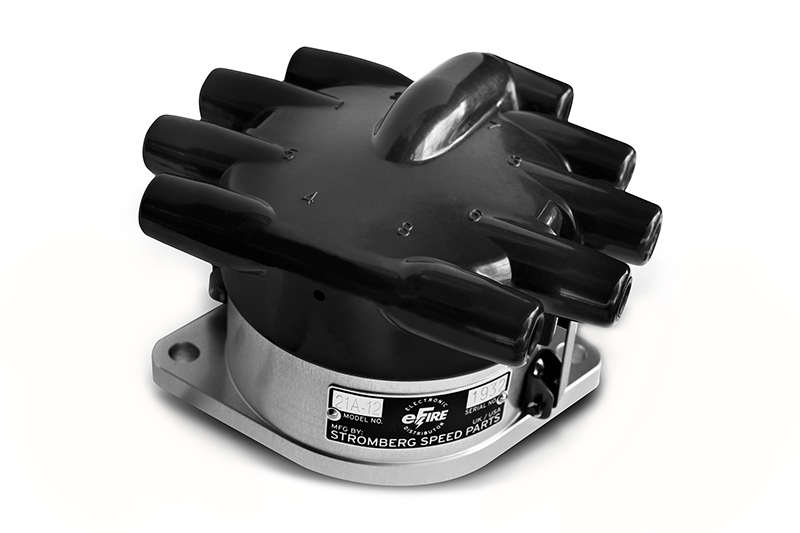 Best news is, the new Stromberg distributor looks like it belongs on your traditional flathead motor, with a regular black cap and the static timing screw on the side so it looks and adjusts more like a stocker. There’s an old-school performance tag with a unique ID number, and it’s also made as short as possible, which is important if you’re building a hot rod.